The NFL has announced that fans can now sign up to try to win tickets to the upcoming NFL Draft, in Philadelphia from April 27th to the 29th. The draft will take place on the steps of the Philadelphia Museum of Art, where there will be a ticketed area called the NFL Draft Theater. By signing up at NFL.com/FanMobilePass, fans can enter to win two tickets to watch the draft from inside the theater. Registration is open until March 19. In addition to the ticketed theater seats, there will also space outdoors for unticketed fans to watch the draft. The NFL expects to announce winners for the Theater tickets on March 22. 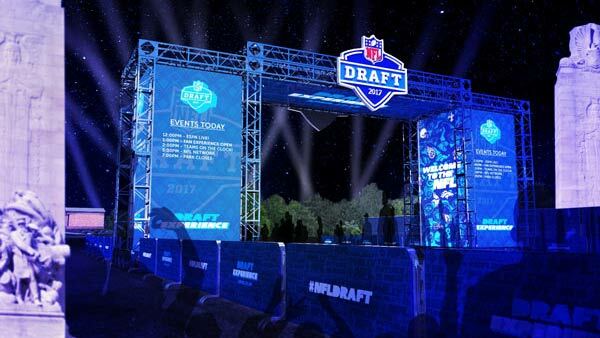 The NFL is also hosting a festival called the NFL Draft Experience, at which fans can take part in interactive athletic events, virtual reality and meet players. Fans who don't get tickets through this process will also be able to sign up for stand-by tickets by checking in each day with the Fan Mobile Pass app.